It's almost November and it was only last week that I realised I hadn't completed nor shared my October set up! It's ridiculous that I haven't, but better late than never ay? 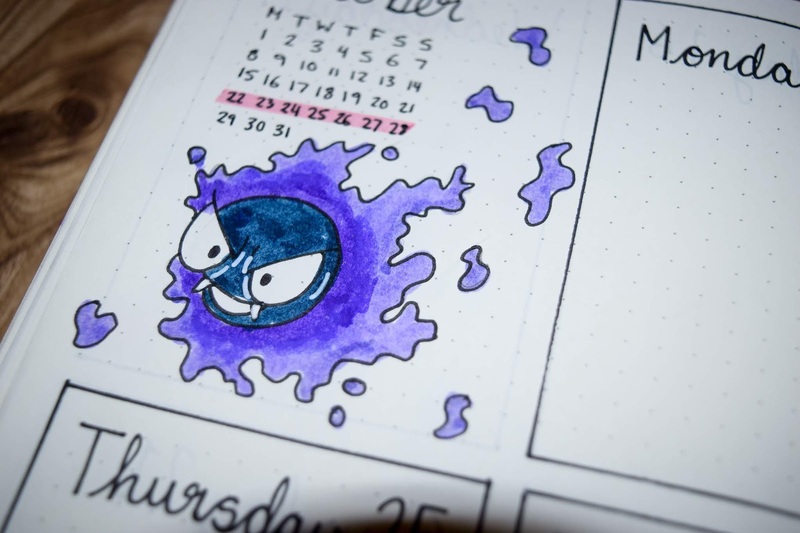 This month, I decided to go for a theme I've been meaning to do month after month. It's been on my list of themes I'd like to do since I first started bullet journalling and it was finally time I did it. 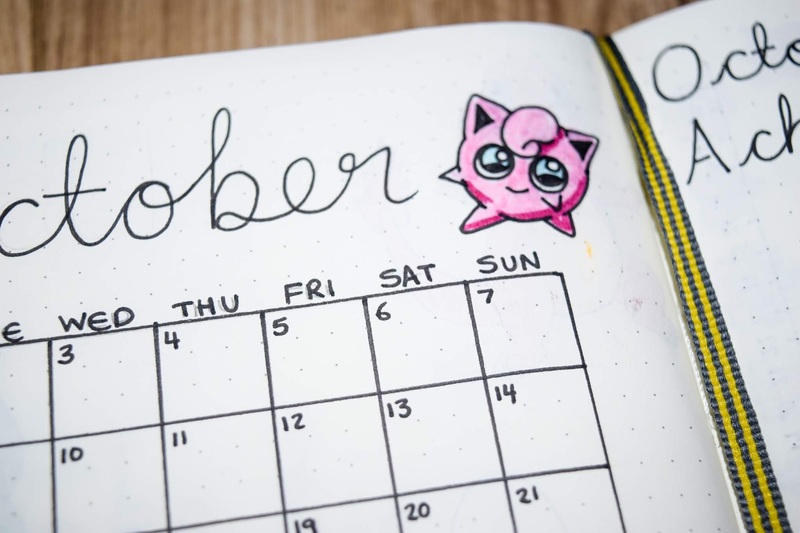 If you haven't noticed already, this October's theme is Pokemon! Specifically, first generation Pokemon (minus Togepi - but she was on the TV series so it's okay). I've kept the theme quite simple. I know the colours aren't quite right but when you're using classic crayola felt tip pens, sometimes the colour you've chosen isn't quite right. So yes, Pikachu is kinda orange and Bulbasaur is uber-green. The font is a very defined and 'curlier' version of my own handwriting too. I love the way it looks so much I think I might keep all my fonts as similar to this as possible in my next bullet journal. 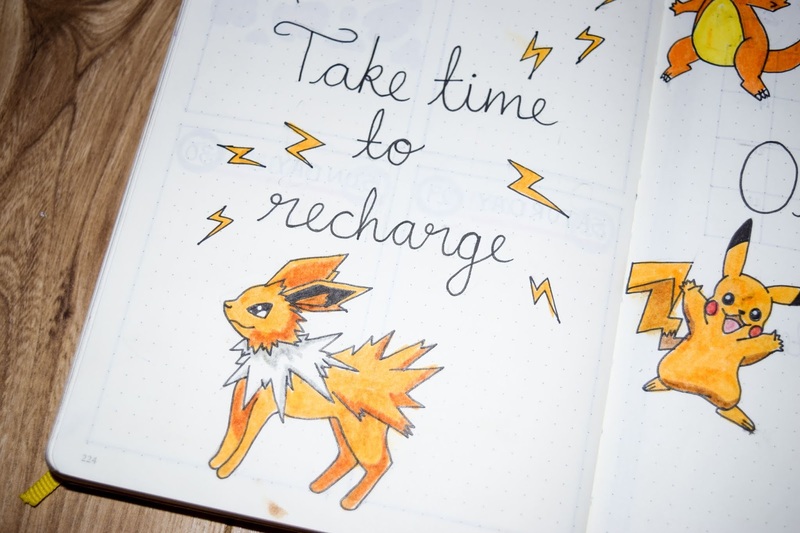 The quote I have chosen is simply to remind myself to take time for myself. This week I am off work and I have already - one day in - been living by it. 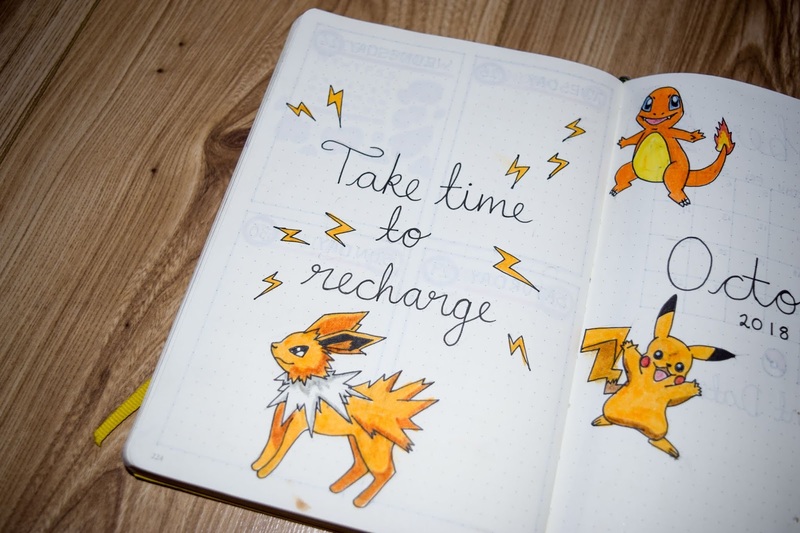 Take time to recharge. It's really important to me right now. 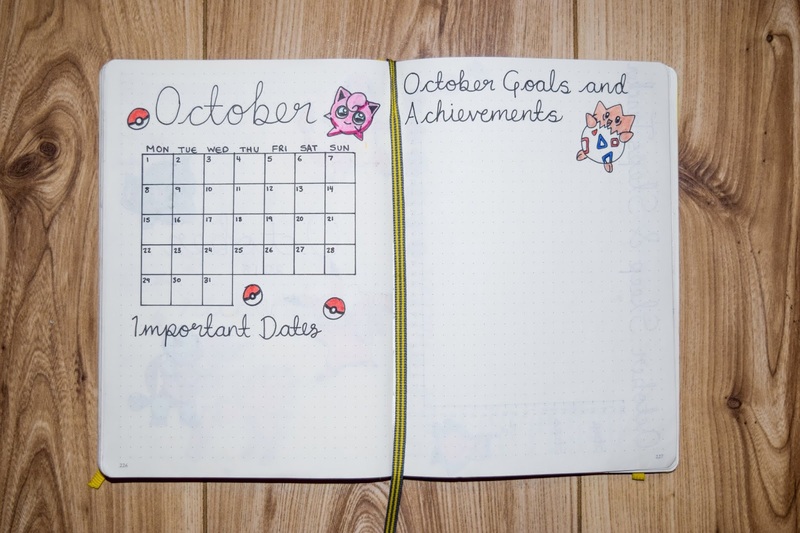 As always, I have my month overview and on the right I have a space for goals and achievements. 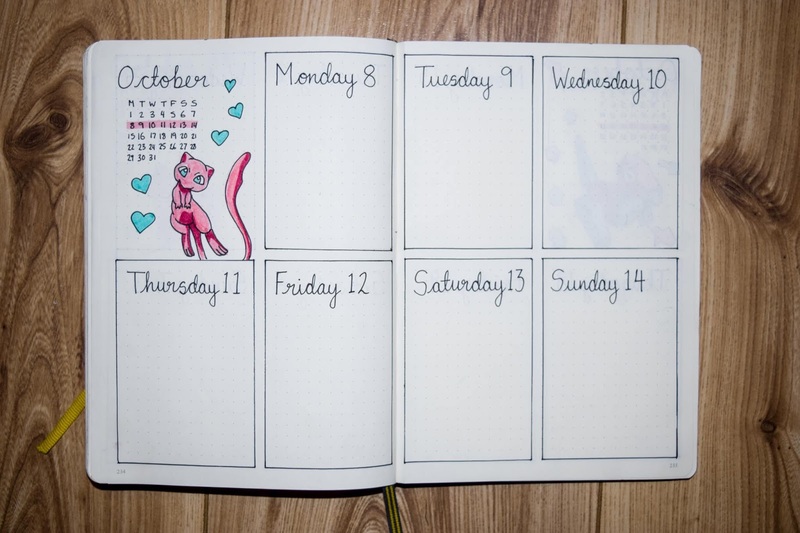 I like to switch that page up to suit whatever is happening that month. If I need to set goals, write some goals. If I want to write down achievements, I set it up for that. But often I find myself needing both so I will begin to set it up for both now too. Here I have my usual trackers. 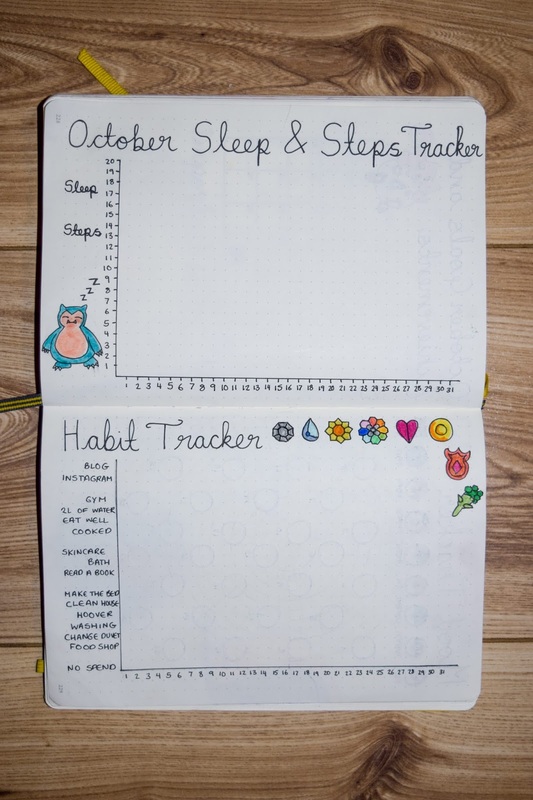 I have reverted to the classic grid for the habit tracker and I'm still using the sleep and steps tracker. I'm caring for it less and less now though and if I haven't worn my fitbit I haven't got any data for it so I'm now thinking about what I could do instead or if I take it away entirely... I don't know. What do you think of sleep and steps trackers? On my second double spread I have my mood tracker and another page I set up for a little fun. 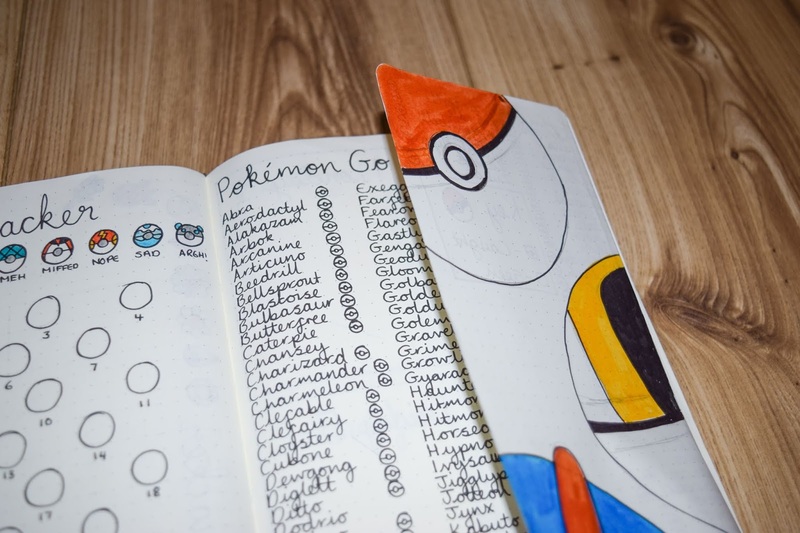 Last month I had a to-do list on that page, but with the Pokemon theme it made sense to have a Pokedex page. 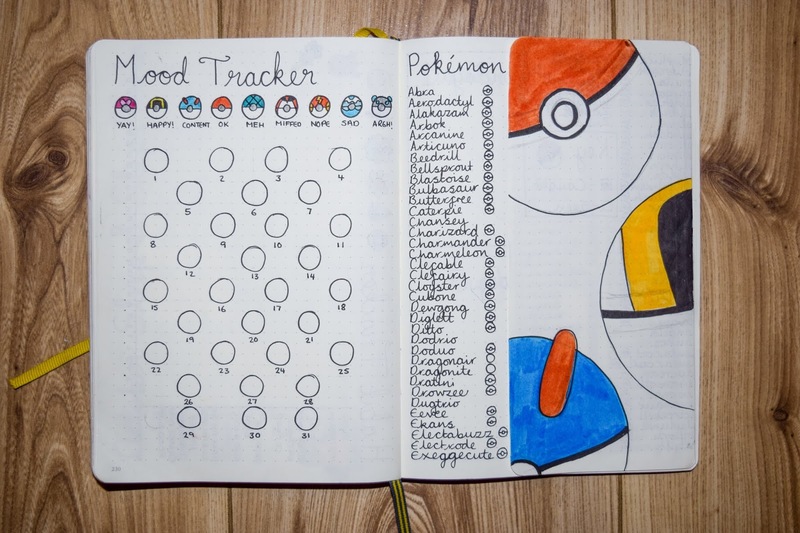 I love this mood tracker because it's simply a lot of fun and a bit different to colour coding. I thought it was a clever idea and I can't remember if I thought of it myself or if I saw this idea on Pinterest. 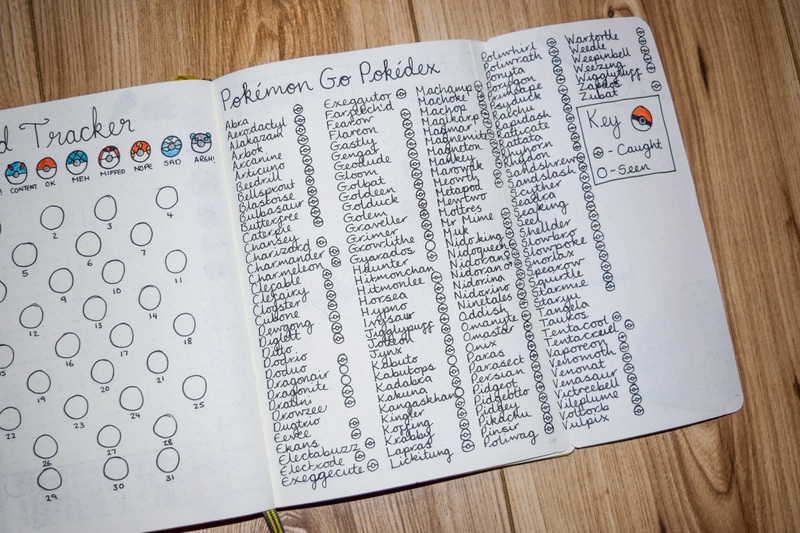 The Pokedex idea though was definitely Pinterest found and it was fun to write out all 150 Pokemon. I play Pokemon Go when I'm out walking somewhere so it's a useful list out of the game. 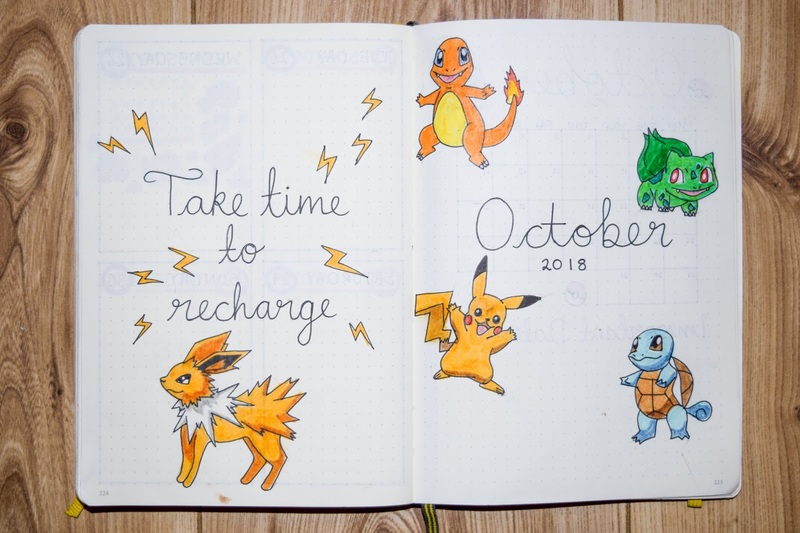 I really enjoyed listing these and it's nice to have a page like this and rightly placed within the Pokemon themed month. 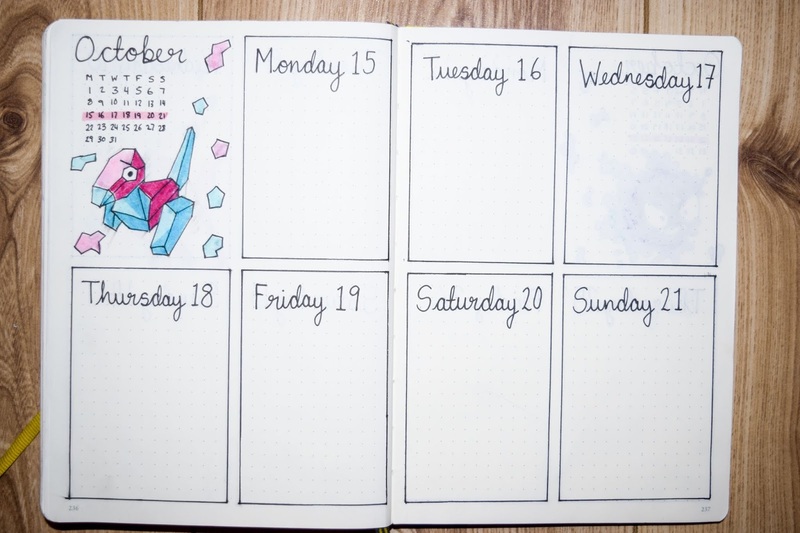 I really like this layout for my weekly overviews because it's pretty, versatile, simple and more importantly because they provide lots of space to work with and I actually use it effectively. I think before I was so bogged down on making it pretty, I didn't make it easy to work with. This is simple and easy enough to work with but also versatile enough to make pretty too. 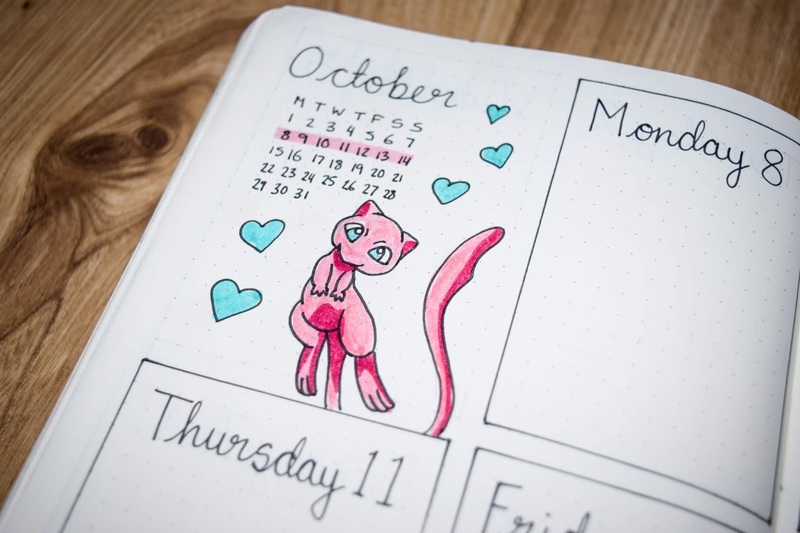 My favourite page this month is the one with Mew and Gastly. I was so happy with how the drawings and the colours came out that I just love them the most. 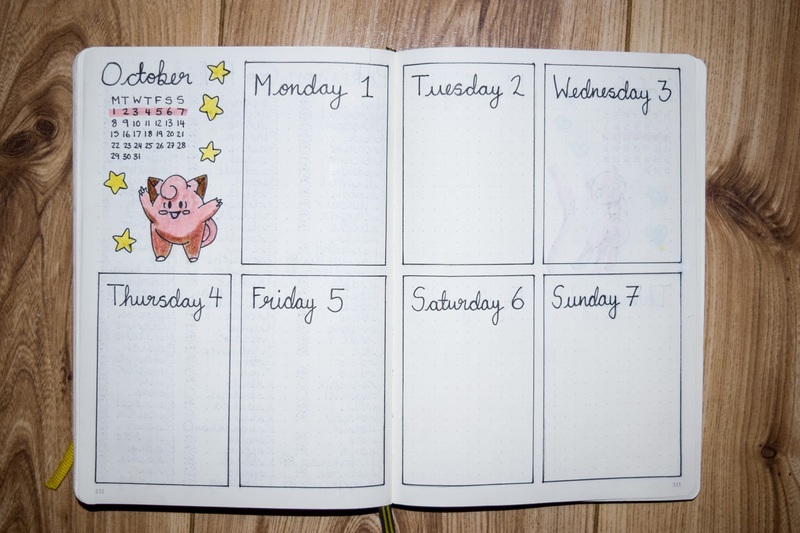 The last few days of October aren't on the next spread because most of the days that week fall in November and I gave myself the rule that if most the days fall in the following month, I'd set the week up then but if they fell on the previous month I'll put them there. Just in case anyone was wondering! I really had fun with this theme and it's so nice to finish my first bullet journal with a theme I had in my mind since I first started it back in September 2017. 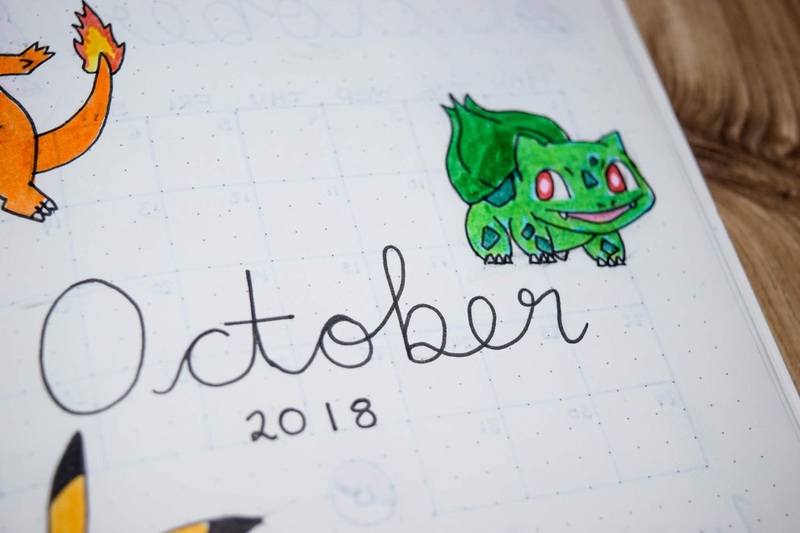 I'm really excited about starting my next bullet journal and I want to change things up a little in the next one, but I look back and I'm really pleased with what I have created so far. I didn't think I'd be so into bullet journalling and that I'd still be doing it over a year later. I'm setting my new one up this weekend so hopefully you'll be seeing yet another couple of bullet journal posts very soon. I'm also restarting my bullet journalling instagram which is @cat.ligraphy for my new bullet journal. I'd be so happy if you followed me there too. 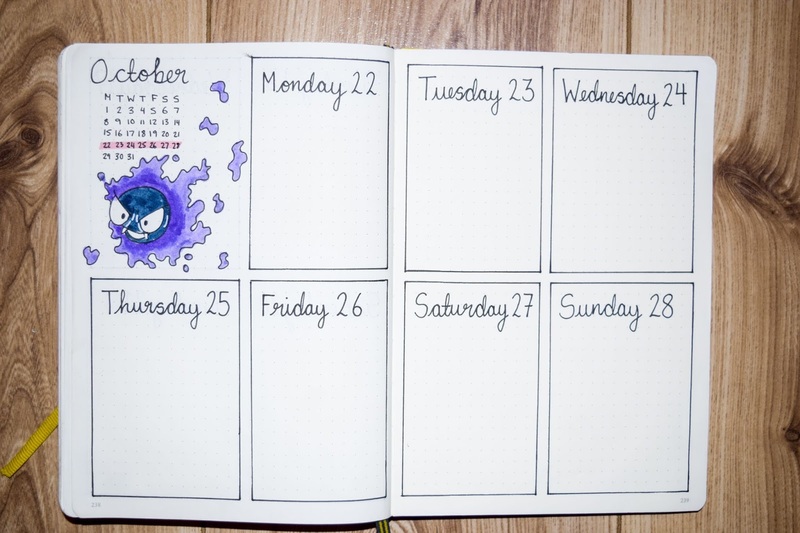 What do you think of this bullet journal theme? Fun? Or too nerdy for you?